When I first heard about the Linden Leaves, a beautiful skincare range from New Zealand, I really liked pretty much everything about the brand. 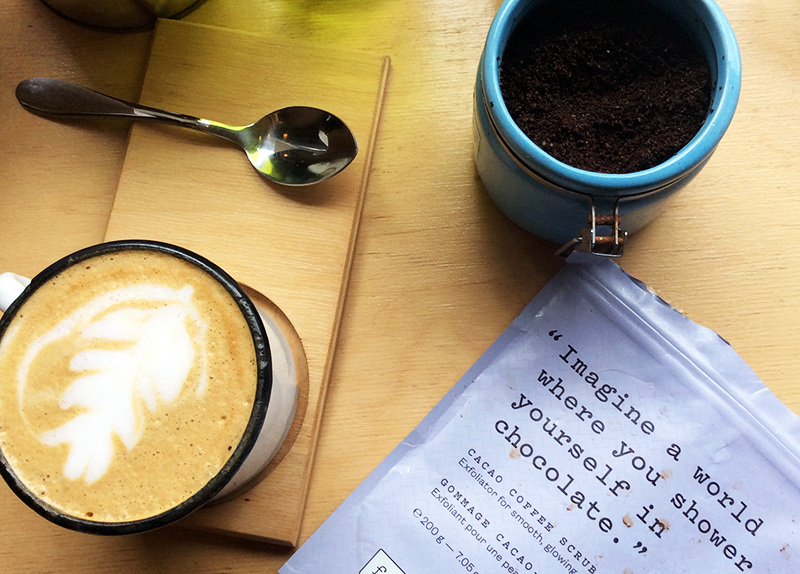 I loved the clean and sophisticated packaging, the series that the products are divided into and the story behind the brand. Plus they also have two series for men – Pure Man and Rugby. I also liked their website, it gave me this idea of a natural and soothing skincare line. There are actually a lot of products to choose from so it was very hard. But I’ve decided to try the scrub from the Herbalist line which is called Sugar Salt Exfoliating Body Rub and the Memories Body Oil from the Aromatherapy Synergy range. 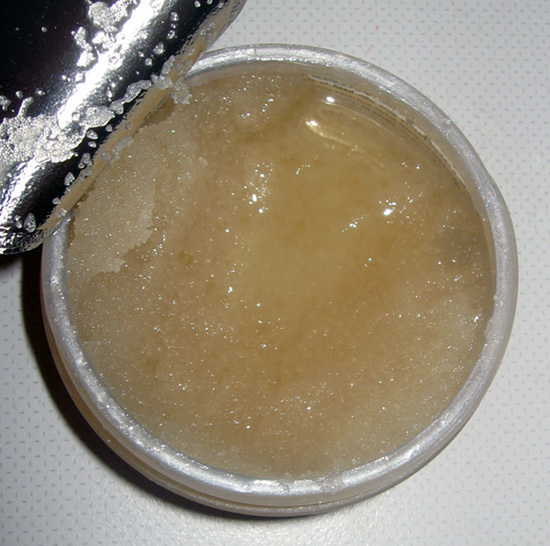 It’s great to have a sugar salt scrub as most are just sugar or salt, so now you don’t have to choose. The first thing that I’ve noticed about this product – its unusual and rather strong scent. I can’t quite describe it but I’d say that Herbalist is a great name for this product. The rub contains essential oil of basil (‘to stimulate circulation and invigorate’), clary sage (‘to ease muscular aches and relax and de-stress the mind‘), and evening primrose oil (‘to nourish and hydrate’). 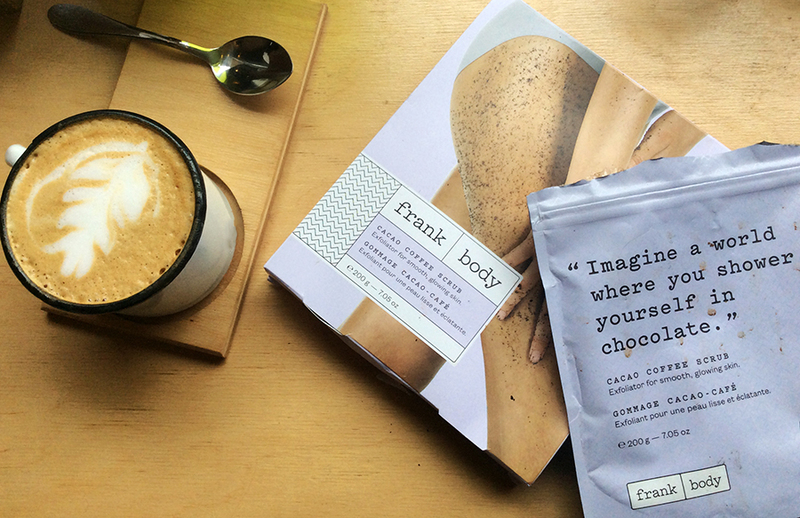 Other ingredients are: jojoba oil and sweet almond oil (‘to moisturise and soothe inflamed skin’). This is a really lovely product, I find that it effectively but gently exfoliates my skin, leaving it smooth and ready for a moisturizer! It doesn’t hurt or damage the skin as it contains essential oils. As for the scent, I don’t think that I’ve had anything with a similar one, but,luckily, I like it. I find it calming and relaxing! I am personally a huge fan of Moroccanoil hair treatments, so am pretty excited about the brand’s range for body. I love the chic and elegant design and the carefully selected items that they included.I haven’t tried anything but have high expectations for these beautifully looking tubes and jars. I know that this is an absolutely random product to write about but I just have to share because I really love it. No, I actually LOVE it! 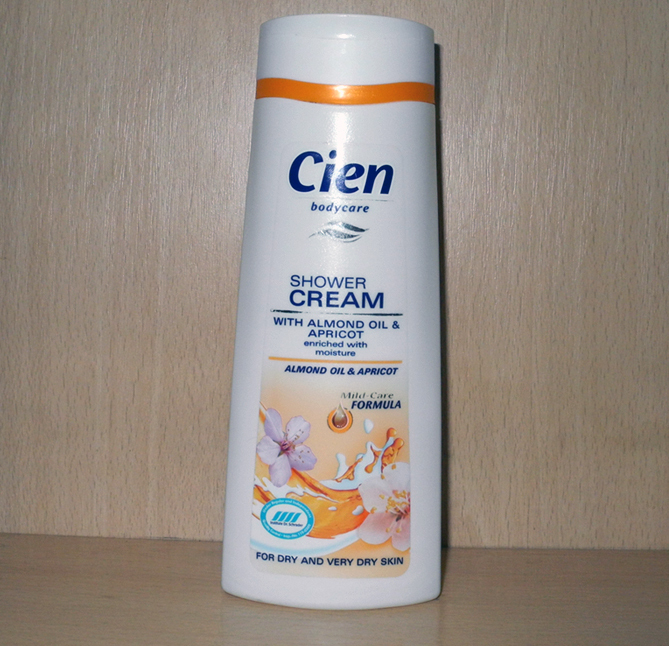 I have got this Cien Bodycare Shower Cream With Almond Oil and Apricot from my aunt, among other things, for Christmas. It is labelled as a shower cream for dry and very dry skin and I find both to be accurate. The texture is so creamy and lovely but at the same time it cleanses the skin nicely. And I find that it doesn’t irritate or dry out my skin as much, as some other (even expensive) products may. I have a very dry skin, and, unless I want it to be flaky and dried out, I have to upgrade my body care routine in Winter. And oils are the best product for that. Here are some of the body oils that I have been loving lately. 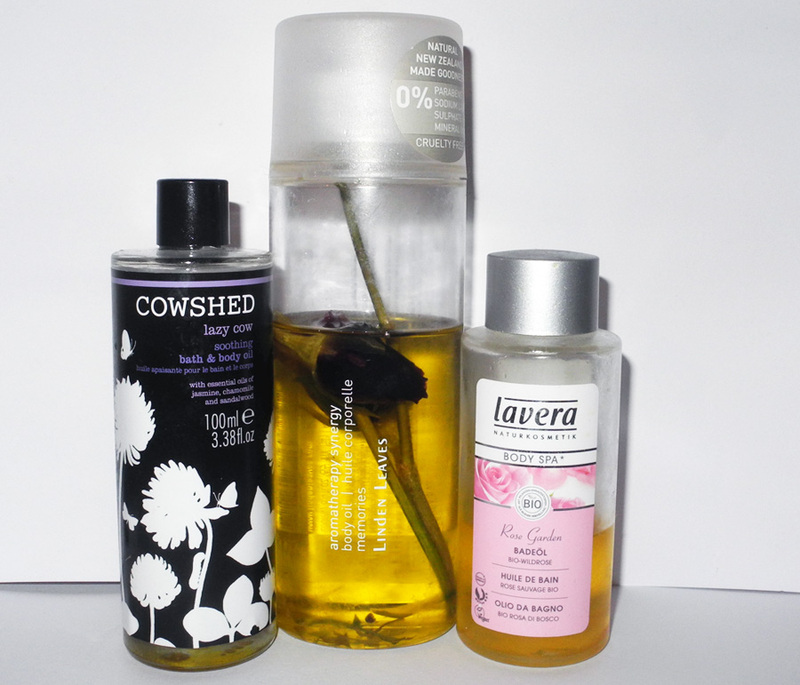 Cowshed Lazy Cow Soothing Bath & Body Oil (£20), see my full review here. This is a brilliant two-in-one product as you can use it as a bath oil and body oil. 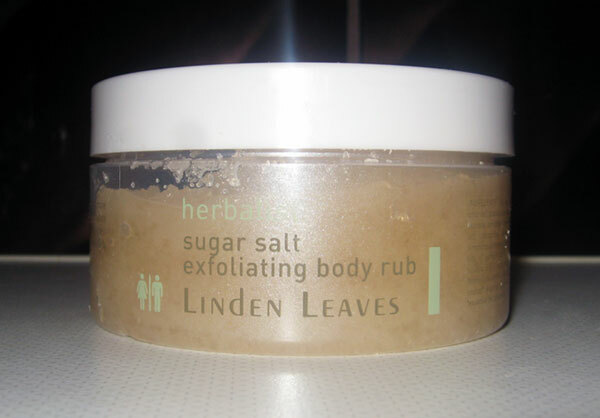 In winter I use it on the damp skin before the body butter. Linden Leaves Memories Body Oil (€ 31.93), read my detailed review here.